Our sumptuous and high quality 85%Goose Feather 15%Down Pair Of Superking Pillow (4ft) are the epitome of luxury. With a durable 230 thread count, our pillows are extremely soft, smooth and highly breathable. Generously filled with 85% feather and 15% goose, our luxurious pillow will surely give you a comfortable and tranquil sleep. 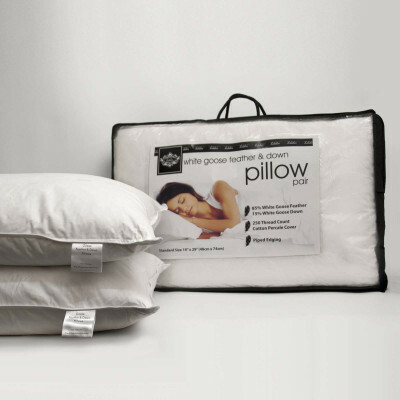 Available in 19" x 36" sizes, this pillow can be machine washable at 40 degree Celsius and is long-lasting.